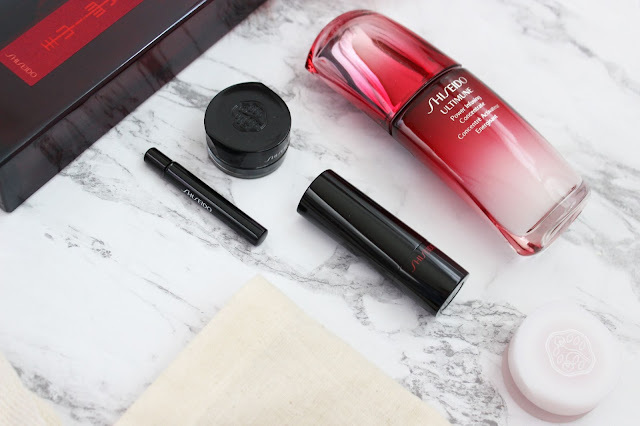 I was lucky enough to go to the Shiseido event at the AGO this month, and I'm so excited to share the goodies that I received! 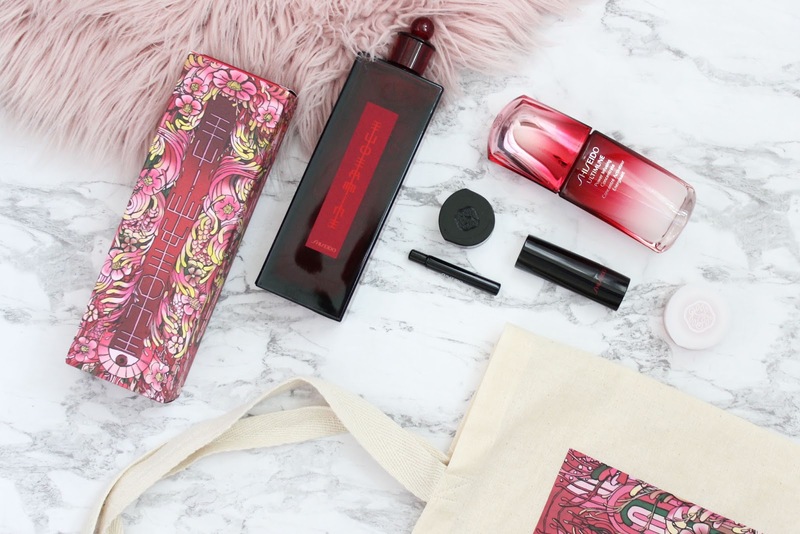 The launch featured the Shiseido Eudermine Revitalizing Essence that was developed for Canada's 150th birthday. The absolutely gorgeous packaging was designed by Alexandra Mackenzie, who also has an art installation at the AGO. The packaging captures the values that make Canada loved across the world by combining art, technology and nature. While the packaging has been redesigned for the celebrations, the product was created in 1897. I've tried a few items from the brand from Dave Lackie giveaways, but I've never actively gone out of my way to try anything. I've been playing around with everything for the last week and a bit, and I thought I'd share my thoughts! 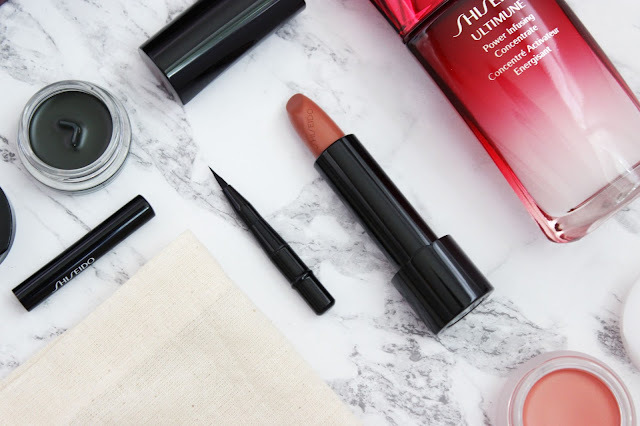 Makeup overview: I've been testing out the makeup items the most in the last little bit, and I have to say I'm pleasantly surprised. 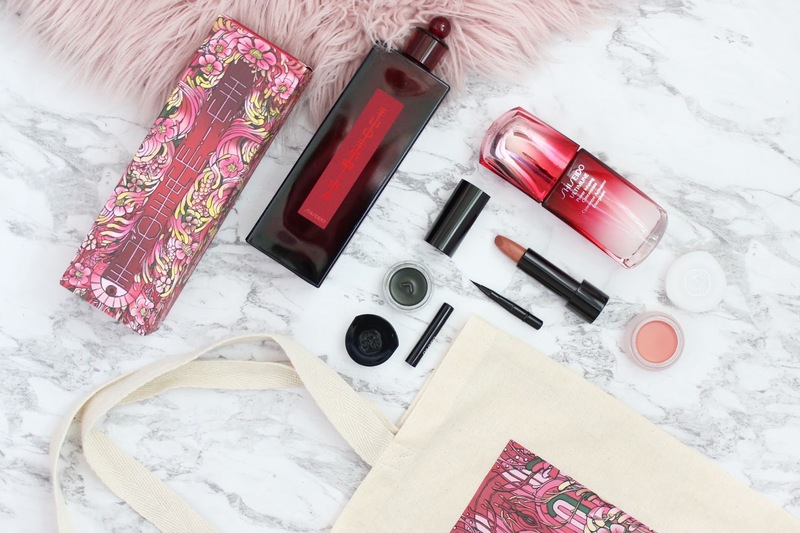 The Paperlight Cream Eye Colour in Sango Coral is absolutely stunning. 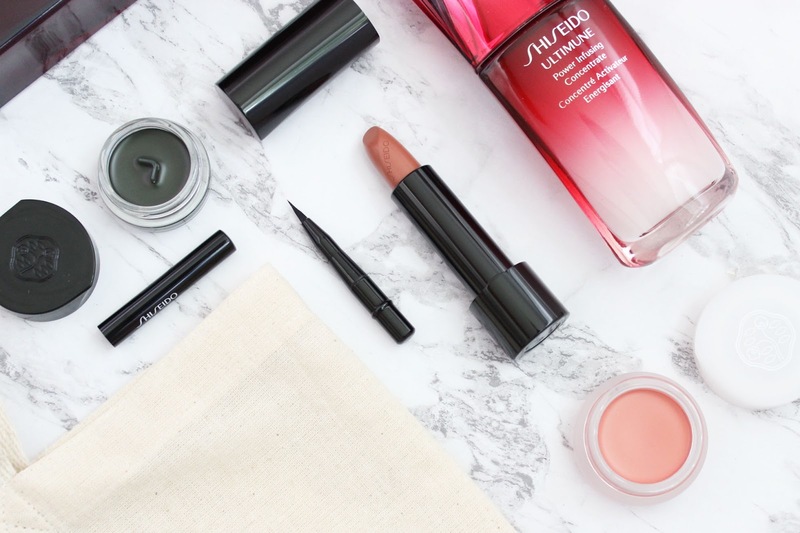 I'd describe them as a watercolour-like finish, while Shiseido writes that they have a "clear and matte base. In one stroke, they achieve a faint translucence, reminiscent of washi paper." They are very soft and creamy and provides a sheer but impactful finish. With an eyeshadow base, the shadow lasts all day without creasing, which is amazing for something that has such a creamy consistency! There will be eight shades available in total, and I'm very tempted to get the Shobu Purple and Usuzumi Beige Gray! The Inkstroke Eyeliner is another amazing product. 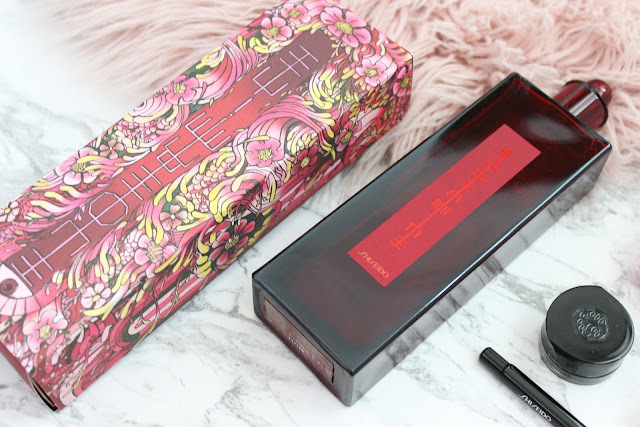 The product was inspired by Japanese calligraphy and has a soft and creamy texture while being long-lasting. Available in six colours, I received the Shinrin Green. I'll admit that it's not my favourite colour (I don't think green goes well with blue eyes), but I've been loving it so far. It's a very deep shade of green, and unless you look closely (or sheer it out when applying it), it isn't noticeably green. It's very creamy and comes with a brush with the finest tip I've ever seen. It requires a few strokes to get it opaque, but I've been very happy to wear it more blurred and softer in colour. HUGE bonus points for the V-shaped component in the middle, which is meant to wipe off any excess off the brush. Lastly is the Rouge Rouge Lipstick in Dusky Honey. The consistency and texture of the lipsticks are absolutely amazing. It's so comfortable to wear and is one of those lipsticks that you can easily reapply without a mirror. Becuase it is a creamier product, it doesn't have amazing staying power, but its a trade off for having something as comfortable as this. My only complaint is that I really hate the colour on my fair complexion. It is very brown-toned, and I probably won't be wearing it very often because of that. But the range has some gorgeous pinks, reds and nudes that would be suitable for a range of skin tones. Skincare: I haven't tried out the skin care long enough to form an option yet, but I'll keep you posted on either my blog or Instagram. 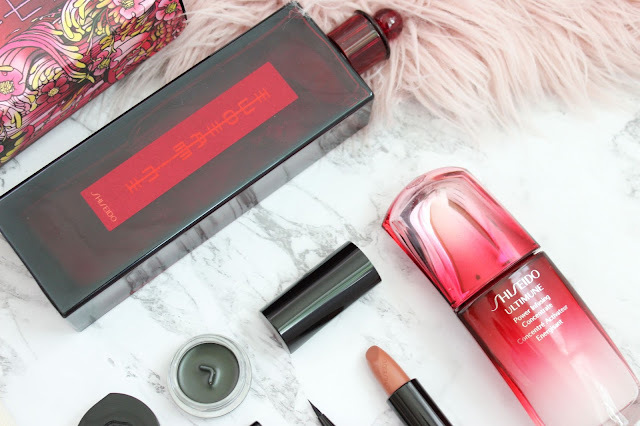 But I will say that the Eudermine is so beautiful that it's on display on my vanity right now. The vibrant pink and yellow tones are absolutely gorgeous, and I feel like I've been more inspired to do my makeup lately. I'm so thankful to have been invited to this amazing event and to get to try out so many amazing products! The fall collection will be available as of June 2017.